The new diet is low in soluble fiber. Diets that reduce the intake of grains, such as gluten-free, paleo, and low-carb diets, as well as diets that greatly reduce root vegetable and fruit intake, may not provide enough soluble fiber. Grains, root vegetables, and fruits are rich in soluble fiber, but are often replaced by lower-carb alternatives such as leafy greens, berries, and nuts — all of which are rich in insoluble fiber. This switch may lower your carbohydrate intake, but it may also make you constipated. While both are fibers, they have different effects on the digestive tract. An insoluble fiber-predominant diet can cause stools to harden and dry out. Insoluble fiber can’t really hold onto water like soluble fiber as it passes through the digestive tract. To avoid this, try to include more foods such as zucchini, carrots, winter squash, pumpkin, chia seeds, avocado, or cantaloupe in your diet. People experiencing tiny, hard little balls of stool can also take magnesium supplements in doses of 400-500 mg at night instead. Magnesium will help draw extra water into your bowel and speed your stool along. For those with large stools that are just too hard to pass comfortably, soluble fiber supplements may help. The new diet is too low in fat — Reducing fat intake to some extent is fine, but fat supports motility – or forward motion – in the colon, which, in turn, promotes regular bowel movement. Therefore, reducing too much fat in your diet can lead to constipation. 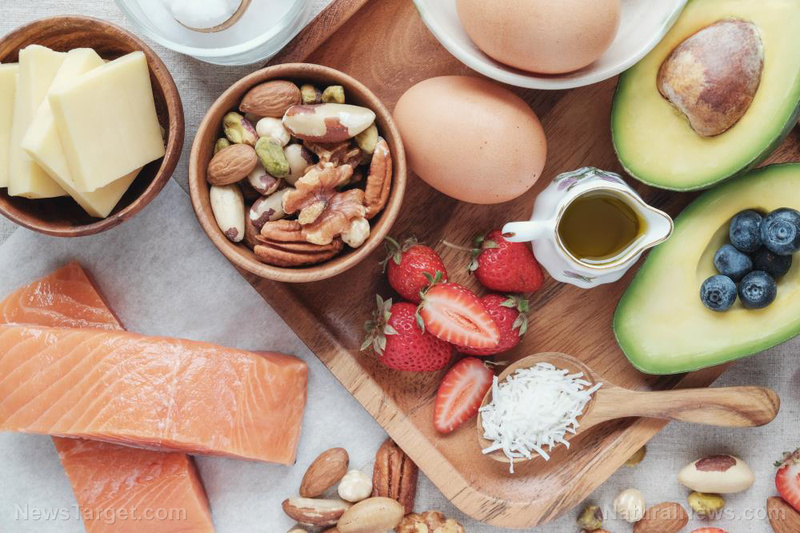 Dietary habits like eliminating organic dairy products, switching from eggs to egg whites, or adhering to a more plant-based diet significantly reduce fat. When your new diet pattern calls for lower-fat intake, you may sometimes notice that your digestive system doesn’t respond as robustly as it used to. If you think your diet is too low in fat, try adding healthy fats with your meals more frequently. Incorporate foods rich in healthy fats, such as avocados, nut butter, pumpkin seeds, sunflower seeds, tahini, hummus, olive oil, or fatty fish like salmon. You may also try to take fish oil or flaxseed oil supplements instead. The new diet eliminates natural sugars — While it is true that excessive sugar intake is harmful to your body, eliminating natural sugars completely is just as bad. Some restrictive types of diet today are adamant on removing any food that has more than a minimal amount of naturally occurring sugar, such as milk or yogurt; sweeter fruits like bananas, grapes, mangoes, or watermelons; and some vegetables like carrots and beets. The natural sugars in these foods have a mild laxative effect in the colon as they attract water into the bowel. Therefore, eliminating these types of food can cause constipation. If you really want to eliminate these foods from your diet, you can take magnesium in doses of 400-500 mg or 2,000 mg of vitamin C at night to naturally add some extra moisture into your plumbing. However, people with kidney problems should not take magnesium supplements, while people with a history of kidney stones should avoid extremely high doses of vitamin C.
Eat probiotic-rich foods like yogurt, kefir, and kimchi. Eat prunes or drink prune juice. Manage stress by doing yoga or meditating. Avoid consuming foods and drinks like strong tea, coffee, alcohol, spicy foods, and fried foods. Learn more about the right diets to keep your digestive system happy at Slender.news.